For cleaning small, inside lines 1 1/4" - 2 1/2" in diameter up to 35 Ft. 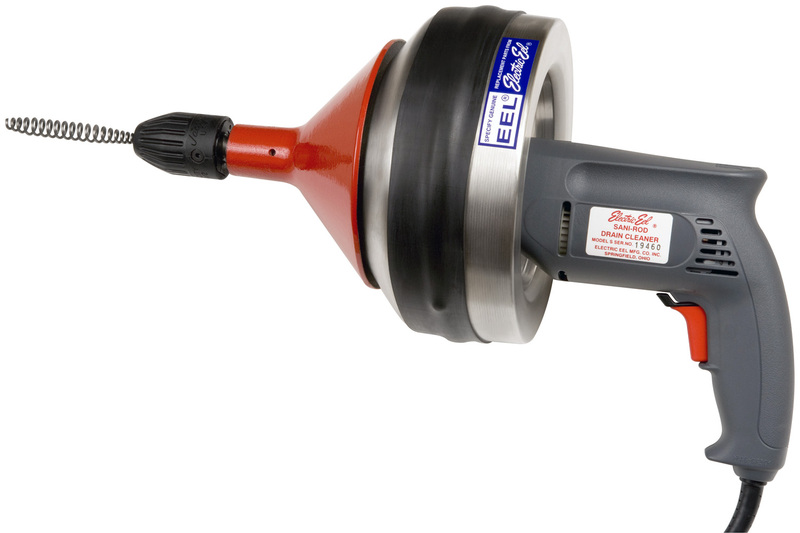 Double insulated commercial grade 1/2" heavy-duty drill for shock prevention. Lightweight stainless steel cable drum won't rust, break or crack. Cast aluminum hand guard is designed for safety and ease-of-use. Cable available in 1/4", 5/16", and 3/8" diameter. Expanded end or drop head cable in 15', 25', 35' sections.